John, AL7OK, and I traveled to Palmer, Alaska about 55 miles north of here. 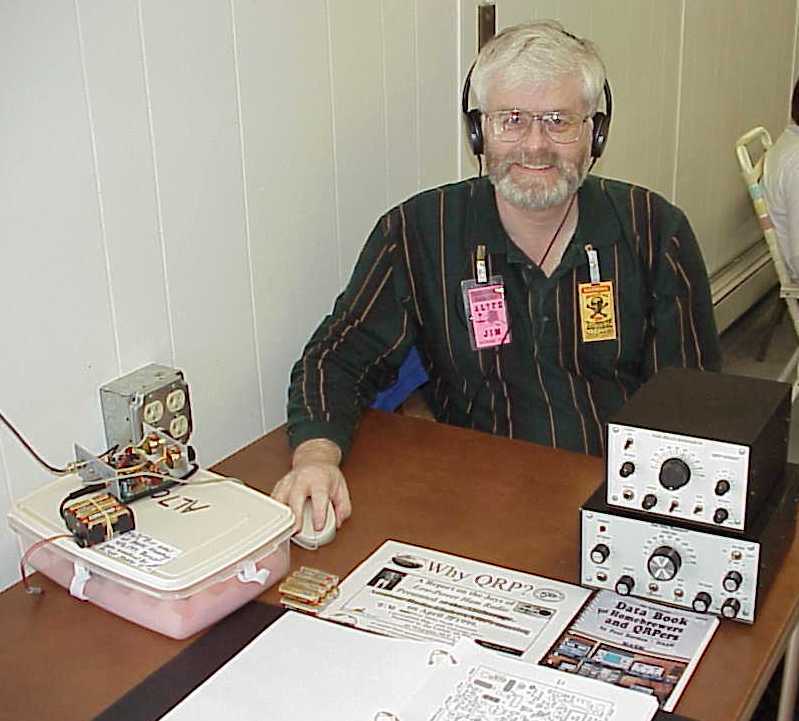 The station was John's new Small Wonder Labs SW20+ that he won at the Anchorage Amateur Radio Club meeting on April 2nd. We diligently put up our dipole to be broadside to the Lower 48 (L48) states and began to operate. Yes, dipoles are directional. Sigh. On the bright side, there was also a flea market and John and I set up the station in the middle of the activity. Lots of people stopped and asked questions, some sat down and played with the tiny 20 meter rig and some told their own QRP story. 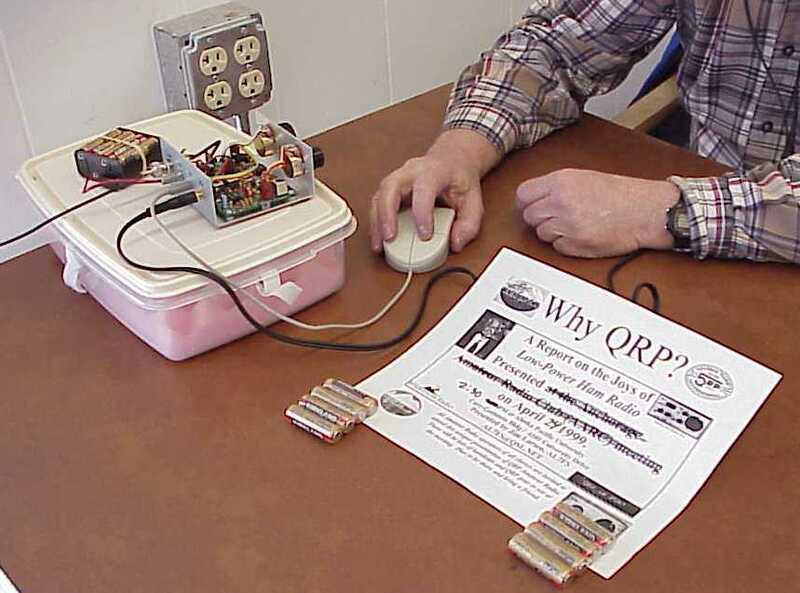 I also gave the "Why QRP?" talk (thanks to N2APB and all others who made that presentation possible- http://www.njqrp.org/whyqrp/whyqrp.htm) to about a dozen more hams. 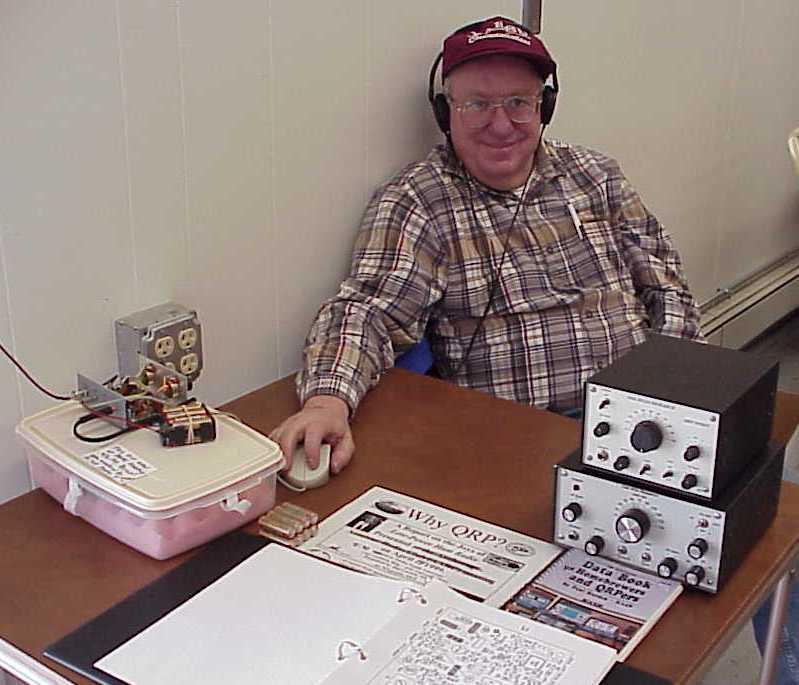 In all, I have talked with about 85 hams about QRP in the month of April spread out over three presentations. Pictured below are AL7FS, AL7OK and the SW20+ station. Email is found on my home page.